Hey, five foot seven readers! My name is Megan and I'm behind the blog pretty wishes. 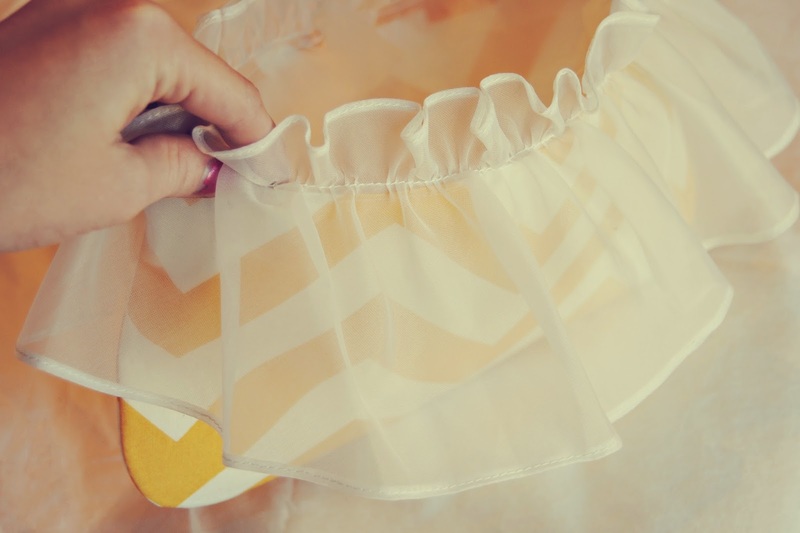 My blog is a little bit lifestyle, a little bit crafty, and a whole lot fashion! I love to blog about clothes. Besides the occasional designer handbag or designer shoe, you will find most of my clothing on clearance racks at stores like Forever21 and TJ Maxx or even thrift stores. I try not to ever buy things at full price. I just don't see the point. Everything ALWAYS goes on sale, right? I also love to post DIYs. I definitely do not consider myself artistic- I cannot draw a picture to save my life! 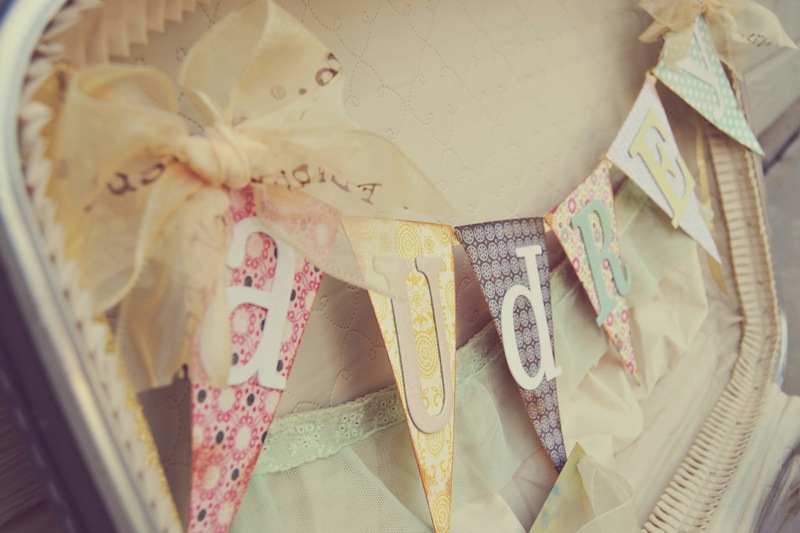 But give me some crafting supplies and I love to come up with pretty things to make. I try to post projects that are cheap and easy. I hate finding something adorable on pinterest and realizing that I have to break my wallet just to buy the supplies. Or even worse, finding out that I have to have superior sewing skills! I also enjoy posting about just plain old me and the life I'm living. I am almost finished with beauty school! The thought of New York City makes me weak at the knees. I am obsessed with Gossip Girl and I just keep watching the whole series over and over again. I love books about high school romance- and I am almost in my mid twenties! And on that note- I have a baby face, most people think that I am under 18- I'm FINALLY getting to the age where I can actually appreciate that. I try to eat healthy but I live for junk food- regular coke makes me genuinely happy. I can not wait to be a stay at home mom. I am so dang emotional- I cry at everything! If I am in a bad mood, all that I have to do is look at my pinterest boards and I instantly feel giddy and inspired. I truly wish that I could be a photographer and take amazing photos like Jenna, but dslr cameras confuse me so much! Thanks so much for guest posting, Megan! Isn't she great, you guys? Head over to her blog right now to see more! Hello, everyone! First, let me tell how you honored I am to do a guest post at FiveFootSeven. I’ve been a huge fan of Jenna and her photography for a while now and was so excited when she asked me to collaborate with her. I work full time for a woman’s college in Virginia, but on the side, I am a Stella & Dot stylist. I’ve always wanted to open my own business, and studied entrepreneurship in college. I played around with the idea of becoming a Stella & Dot stylist and in January a friend took me on as one of her team members – and I’ve fallen in love! Stella & Dot is such a supportive and inspirational company and it’s so fun to have control over my own little branch of their business. I also love getting to see a bit of “behind the curtains” of what it takes to start – and run – your own business. 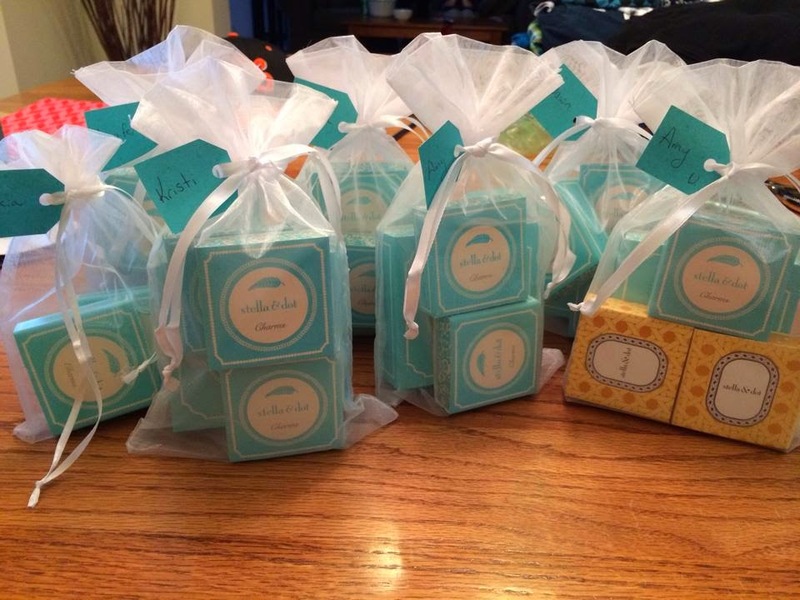 Since Jenna works with so many brides (and brides-to-be!) I thought I’d share with y’all some of the top bridal styles for these coming seasons. 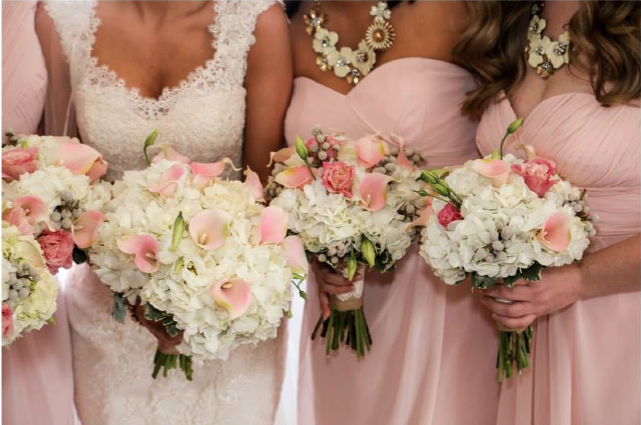 I gave my bridesmaids Stella & Dot earrings to go with their dresses and there are so many other great ideas of how to spoil those ladies who will work so hard to make your big day even better. 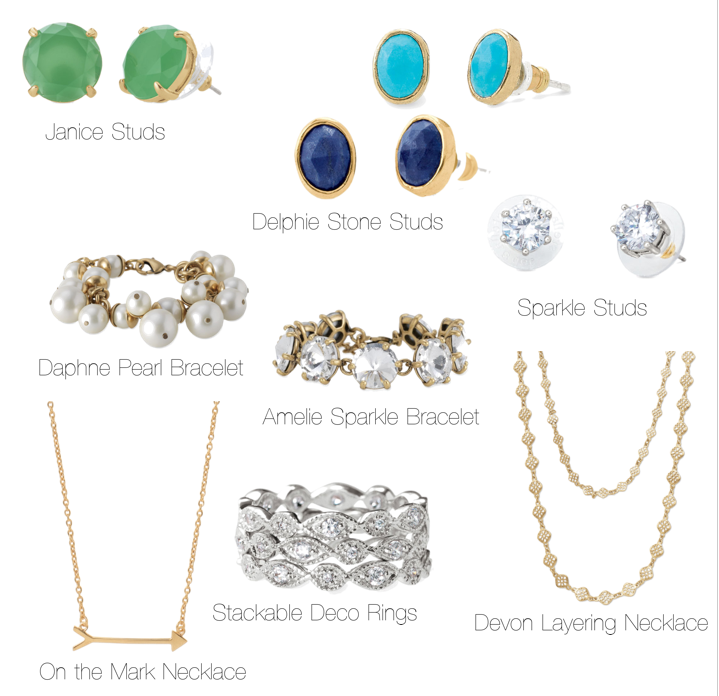 Or look at all these great items – jewelry to use as a great compliment to their dresses without stealing the show. 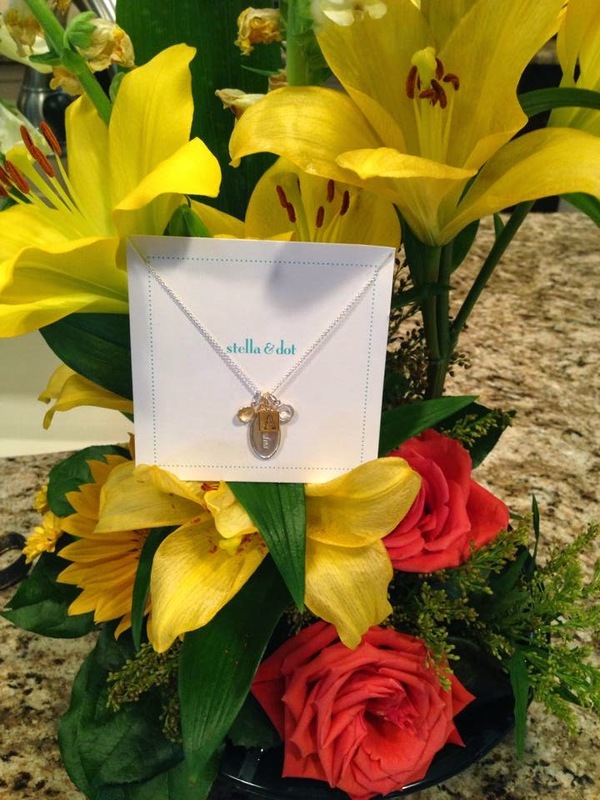 The key to a good present for your Mom and Mother in Law is to blend a quality gift with something sentimental – and affordable for you! So why not build them a custom charm necklace. 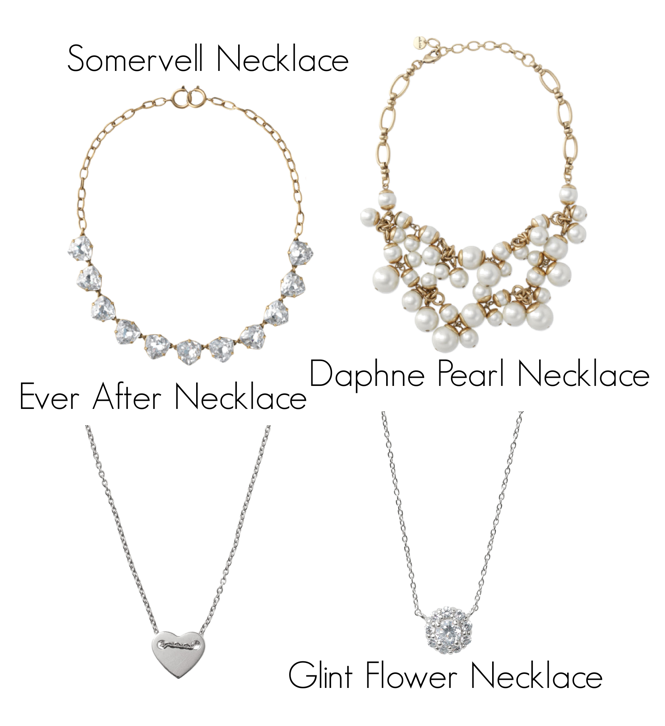 There are a variety of chains to choose from, and charms ranging from initials, to birthstones (maybe add one for the month of your wedding), to hearts, to single pearls. 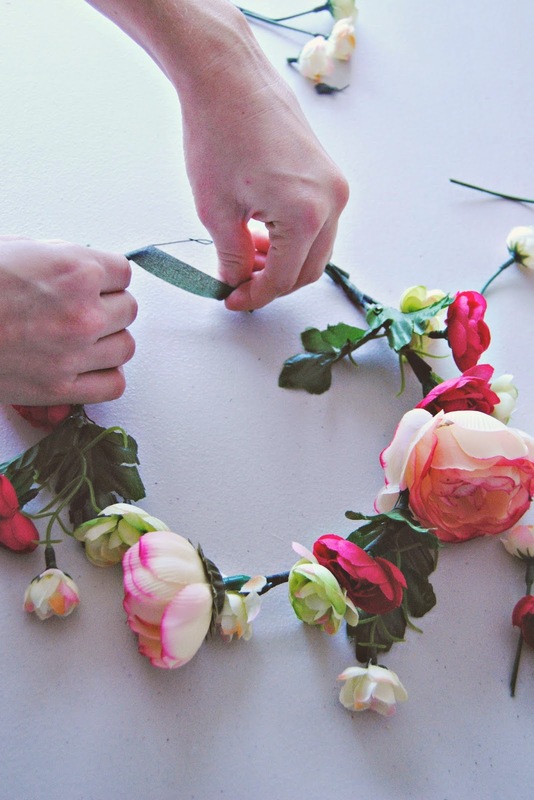 You want to make sure your flower girl has something beautiful, that she can treasure for years to come, but also simple and age appropriate. 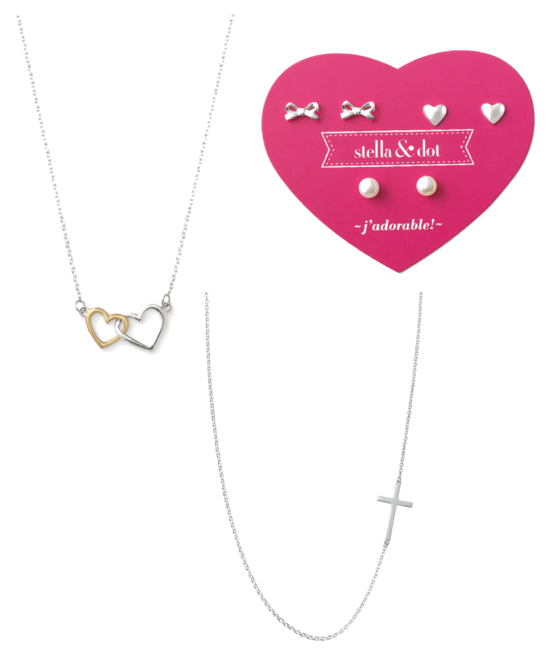 These two necklaces are beautiful (and the Interlock Cross Necklace comes in an adult size, too!) 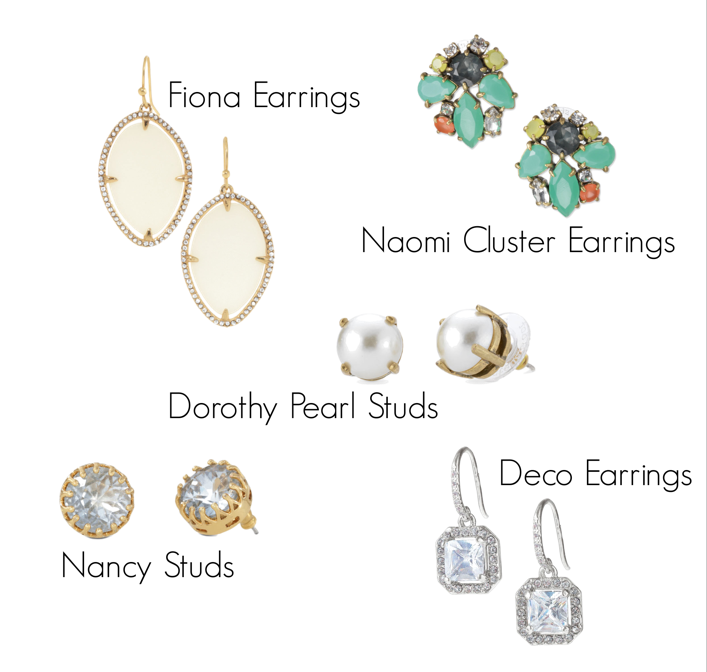 And all of the earrings come in sets of three, which gives you a little more bang for your buck, and who doesn’t love that? Now the most important part – the bride! 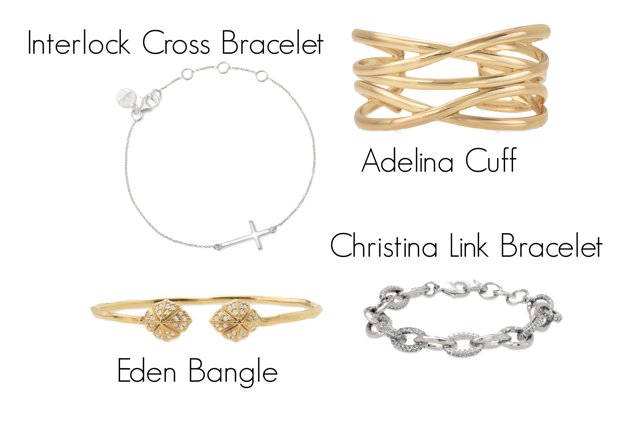 Of course, it’s important to balance out your accessories with your dress, but here are some of my favorite choices. Hope to see you over on my blog soon!